This last Sunday September 8th, took #500 out to Auto Club Speedway for a Speedventures event at the Fontana Nissan 5 Meet. There were lots of GT-R guys with their cars. It was a hot day- about 100F, so the car wouldn't last long before it got very hot. So even with the heat, it was still a fun day. More pictures and videos later. 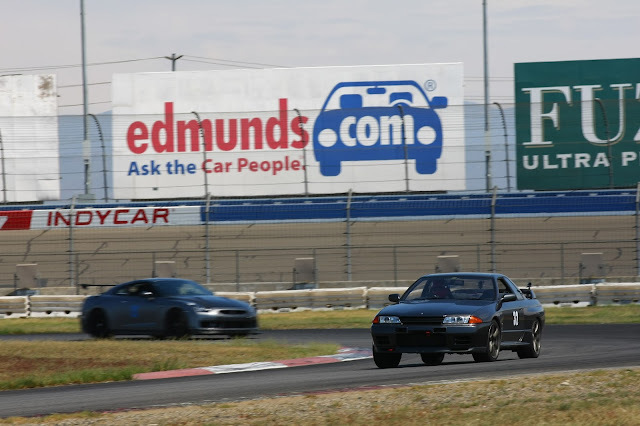 "Out at Auto Club Speedway for the Fontana Nissan event with the http://www.showordisplay.com NISMO Nissan Skyline GT-R. Second session, Melvin passed me pretty fast on the front straight. " Same session, in car view. 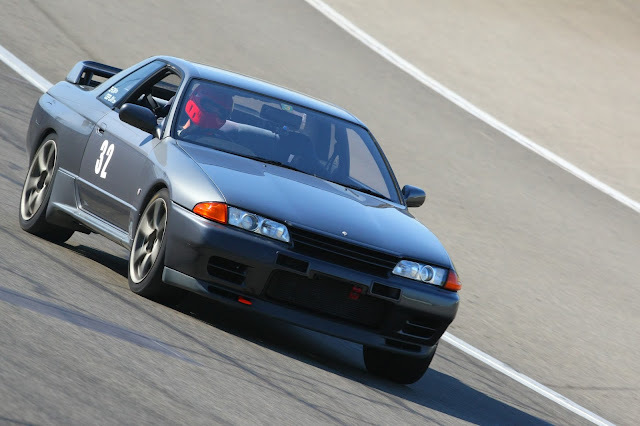 "http://dangardnerspec.com/ video from inside the http://www.showordisplay NISMO Skyline GT-R. Second session from Auto Club Speeway with Speedventures. It was a hot day(99F) at the track, so the old girl didn't take long until she overheated. Put some heat in the brakes. Even at over 300 engine horsepower, just doesn't stand a chance to the R35 GT-R in a straight line, although with the R888 all around, the R32 has decent cornering, and exit from the corners." Best lap of the day was the last hot lap of the day. http://www.showordisplay.com NISMO Nissan Skyline GT-R at the Fontana Nissan 5 event at Auto Club Speedway. It was a hot day near 100F. Trying out the Race Render software, and it is pretty nice. Used the trial for this. The MPH gauge lost the third digit on the render. Have to figure out how to fix that. Also the acceleration sensor is flipped. Probably something I need to fix in the G-Tech Software. http://www.racerender.com/RR2/Features.html . Overall it was easy to use, and I will buy the Deluxe version of the software. Using the G Tech Fanatic RR to gather the data. Nice unit that will show you your lap times, and segment times. http://www.gtechpro.com/rr_fanatic.html. Its a $300 box that along with the Fanatic PASS software gives you some in-expensive data logging capabilities.